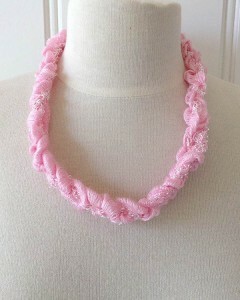 Chain necklaces are so easy to make, you can make one to go with every outfit. 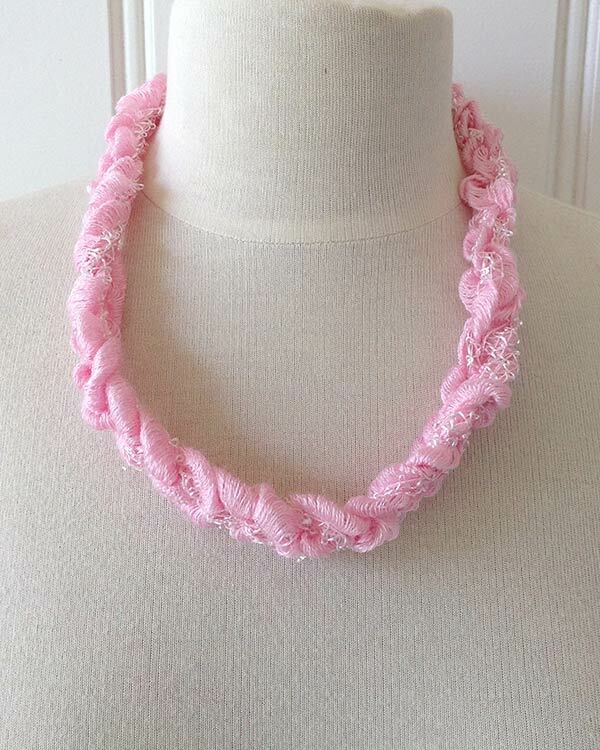 This Starbella Lace Necklace is the perfect accessory for any occasion! 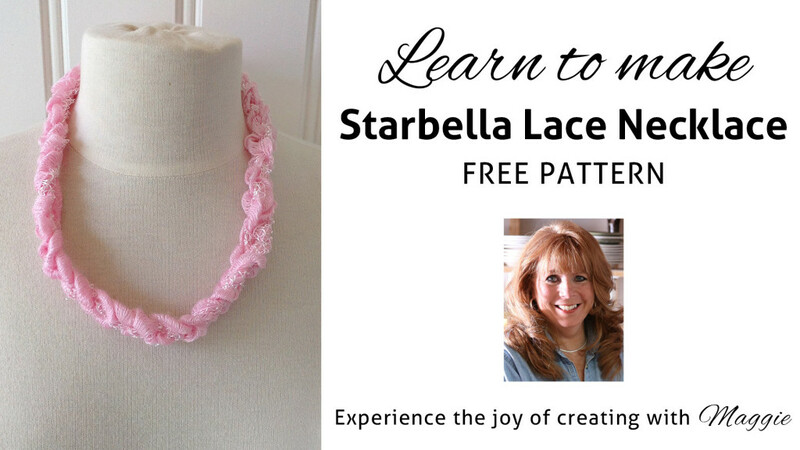 Click the photo for the Starbella Lace Necklace pattern. The project was designed with Starbella Lace yarn. 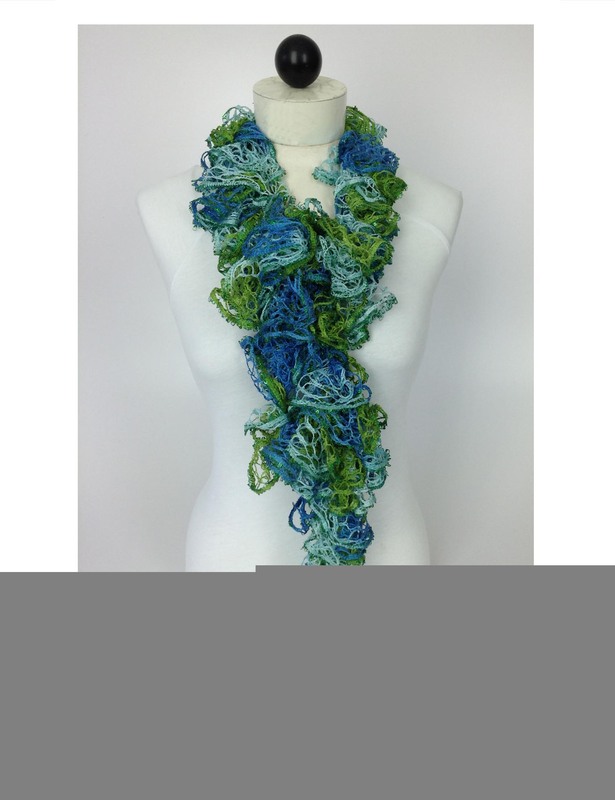 It’s often used for ruffled scarves, but it has a wonderful texture that makes it great for fashion pieces as well. We used a 12 mm hook for this project, though you could also finger-chain if you prefer a looser chain. 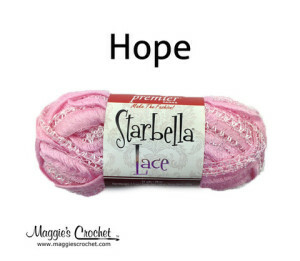 Click the photo for Starbella Lace yarn.